Oil prices are surging. 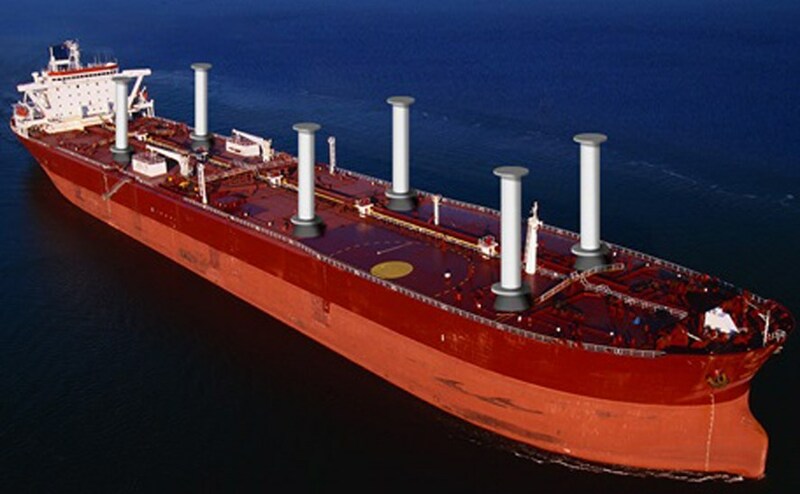 Danish shipping giant Maersk is testing high tech sails to cut its marine fuel costs. It's installed 100 foot tall rotating cylinders on one of its ocean-going vessels. The cylinders are very high tech sails designed to capture the power of the wind and convert it into energy. Norsepower, based in Finland, makes the sails of composite material. 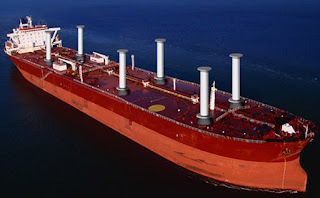 They are rotor sails and are based on what's called the "Magnus Effect". In effect, a spinning object drags air faster around one side, creating a pressure difference that pushes the vessel in the direction of the lower pressure side. If the system proves successful, Maersk expects to start saving 10% in fuel bills per vessel. And it will install the technology on at least 80 of its 164 tanker fleet. So far the company says the testing has gone well. It's green, sustainable energy that cuts emissions into the air and ocean.